The scholarship deals extensively with a description of the agricultural crops of the Land of Israel during the biblical, Mishnaic, and Talmudic periods. The main specialization is the documentation of the agricultural culture of the Middle Ages and a description of some one hundred crops used for food and in various industries. Additional research relates to documenting ancient species of fruit trees and grains. We are collaborators in interdisciplinary research in documenting traditional wine species and characterizing ancient wine, the meaning of yayin mazug [diluted wine] and its flavor, and the ‘debs’ (wine honey) industry. Another study focused on the grains that were prevalent in ancient Israel, summarized in the book “Hameshet Minei Dagan” [The Five Types of Grain]. The research also entails reconstructing the natural landscape of flora in the Land of Israel in light of an analysis of the traditional sources and the botano-archeological and zoo-archaeological findings. For example, it describes the changes that took place in the vegetation landscape. The composition of the natural and agricultural landscape is reflected in a phenomenon prevalent in the Middle Ages and up to the modern era even among Jews – the sanctification of sacred trees. We presented this phenomenon by analyzing the literature of holy sites, as well as from a text that was first published from a manuscript, as well as from the documentation of present-day reality. Examples of innovative research are the identification of the ritually clean wild animals mentioned in the Bible in light of the zoo-archaeological findings in collaboration with Prof. 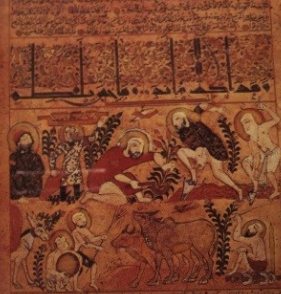 Guy Bar-Oz and Dr. Ram Buchnik, accounts of the rare breeding of animals, and evidence of the importation of the shrub plant Artemisia arborescens commonely known as “shiba”, apparently by Crusaders, in collaboration with Prof. Nativ Dudai. 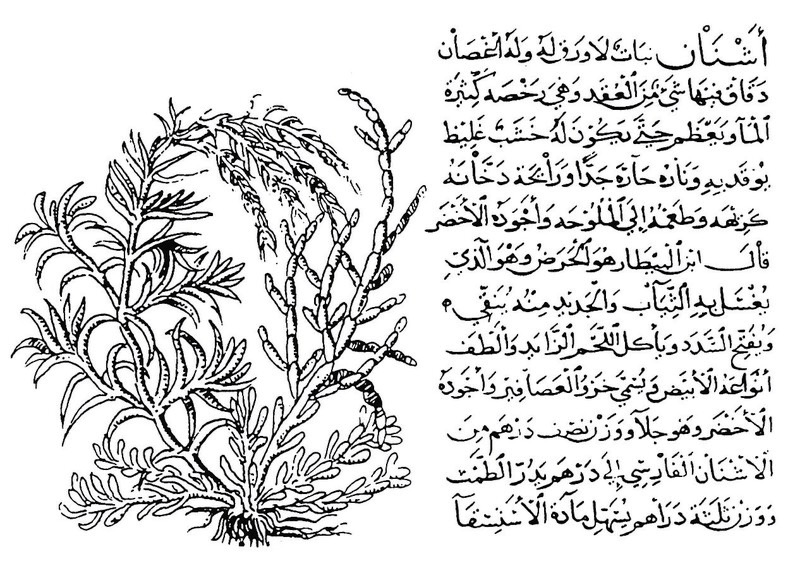 In a study as yet unpublished we have documented the wild plants mentioned in medieval sources and their uses by man. One example is the use of Rhus coriaria in the tanning industry. Another area is the history of botanical and zoological research in the modern era, and in particular the work of Israel Aharoni, the first Hebrew zoologist. The study reviews his contribution and that of other scholars in determining the names of animals in contemporary Hebrew. 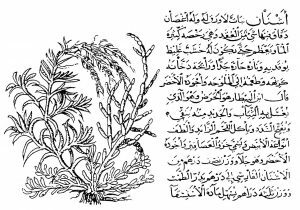 The “ashnan” plant, apparently Salicornia europaea, used in producing cleaning materials, from an Arabic treatise from the fourteenth century.